Commitment to customers isn't just lip service at Insl-x. It is the company's driving force. 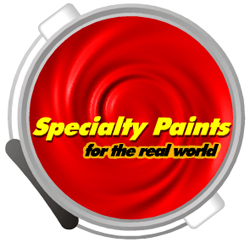 Since its inception, this quality producer of specialty, industrial and architectural paints and coatings has been first and foremost committed to customer relationships. This dedication is reflected not only in the company's product line, but in the way customer accounts are managed. Insl-x's employees go the extra distance every day, offering a full range of administrative and technical assistance to support their high-performance products. In response to customers' environmental concerns, Insl-x has recently built a state-of-the-art production facility that is not only environmentally compliant, but will ensure that the company's high quality standards are maintained. This commitment to strengthening customer relationships will continue to have a positive impact for both Insl-x and it's customers. According to James A. Weil, President, "In today's highly competitive marketplace, having the toughest, best quality product means nothing if it is not backed by a solid commitment to service. We pride ourselves on being customer driven, and view our relationships as partnerships. Offering the very best products backed by a complete support network will enable both Insl-x and our customer partners to move profitably into the next millennium." Insl-x is headquartered in Stony Point, New York, with distribution centers in Clearwater, Florida and Aurora, Illinois. The company produces a complete line of specialty paints and coatings including: AQUA LOCK, PRIME LOCK, SEAL LOCK, POOL PAINT, HOTTRAX, INSL-THANE and SURESTEP.